The Calaveras County Water District has made several improvements to its bimonthly bills that we hope will make them easier to read and provides customers with powerful tools to monitor their water usage. While CCWD has included a water usage graph for many years, we made it even better. Customers can now see water usage for the past three years (2015, 2014 and 2013). Additionally, the percentage saved compared to 2013 for each billing cycle appears directly below the graph. We are using 2013, because that’s the baseline year the State Water Board uses to measure urban water suppliers. The state has mandated that CCWD must reduce water its by 16 percent this year compared to 2013. With the upgraded bills, customers can see whether they are meeting or exceeding that mark on an individual level – no math required! Another great new feature on the bills is average gallons used per day. 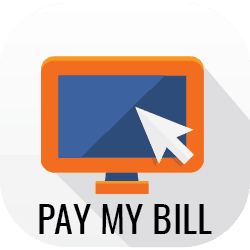 We take customers’ two-month billing periods and divide the number of gallons used by the days in the billing period. We know this number will vary, depending on where customers live in the county (cooler in the east, hotter in the west), but keep in mind that the State would like to see 50 gallons used per person per day. We also consolidated the line items in the “Current Charges” section of the bill. Instead of breaking out the two rate increases that took place in 2013 and 2014 separately, they are now included in single line items. We did this in response to customers letting us know that multiple line items were confusing. Please keep in mind that the rate increases are permanent and will not expire. Another change made for clarity’s sake was to add this text to the Payment Coupon portion of the bill: “Payment must be received in the office by the due date to avoid a $10 delinquency charge. Postmarks will not be accepted.” We made this change because there has been confusion about what CCWD’s policy is on postmarks. Hopefully this will clear that up. We hope these changes make our bills easier to read. One thing is sure, CCWD is always trying to improve our customers’ experiences. If anyone has any ideas that they think would make our bills even better, we’d love to hear from them. Please send us an email at customerservice@ccwd.org or give us a call at 209-754-3543. Thanks!